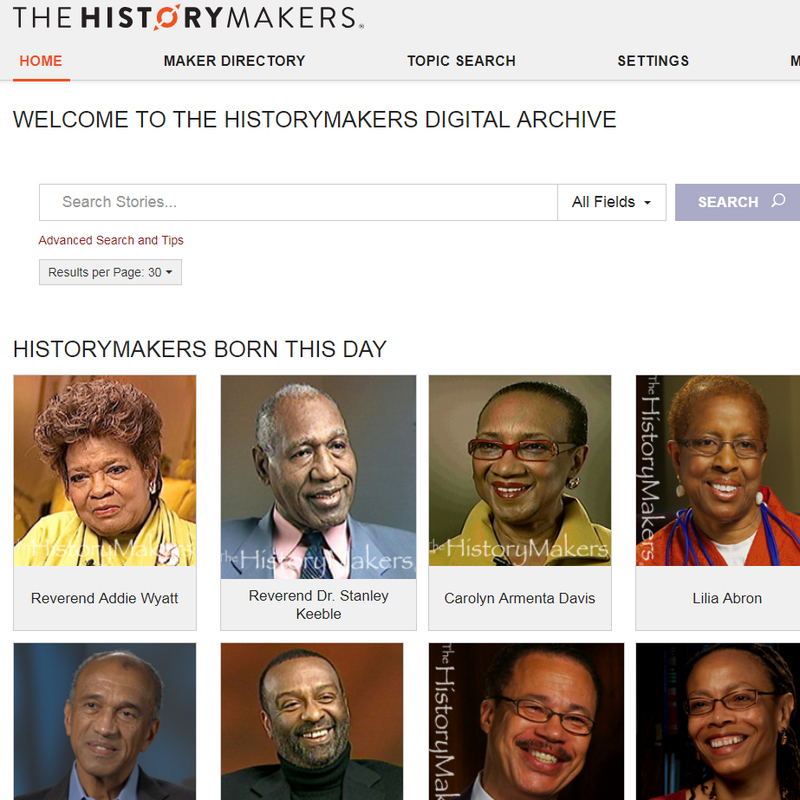 *NEW at the Earl S Richardson Library* The History Makers Digital Archive provides video content, fully searchable transcripts and unique content for African American individuals from a broad range of backgrounds and experiences. 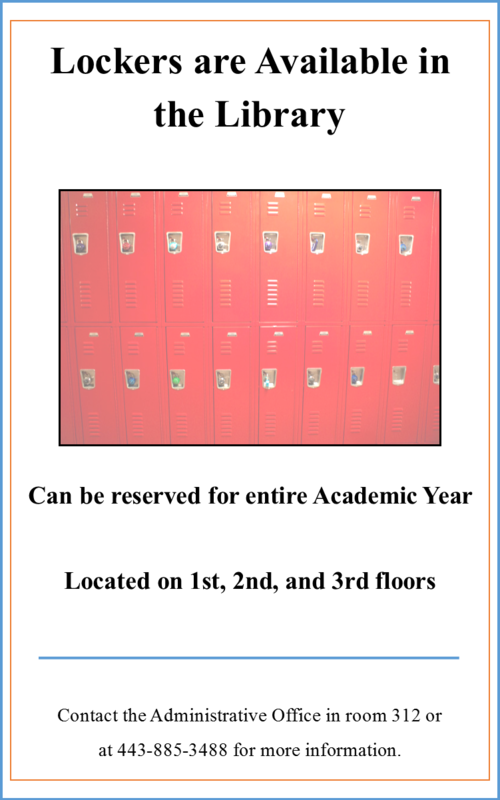 Updates to Our Reference Services! 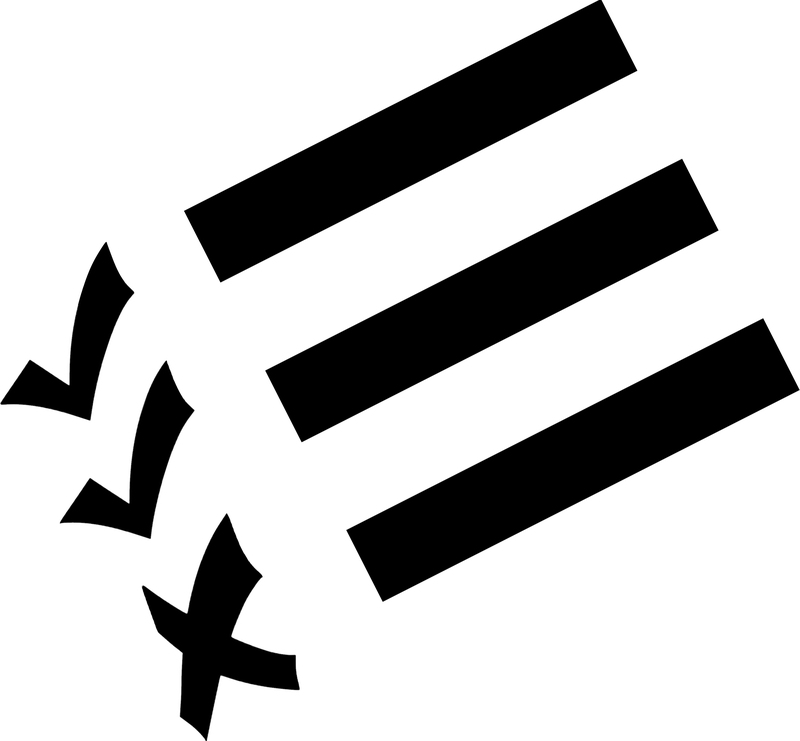 We have some exciting updates to our reference services! 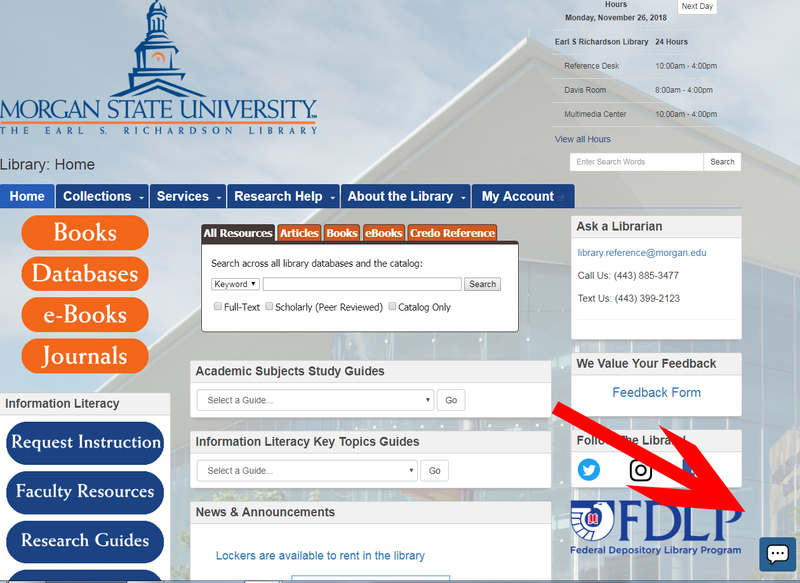 A live chat feature is now available through our website - use the button in the bottom right hand side of the screen to get instant help from one of our librarians. Please note also the update to our Text Us SMS reference service. 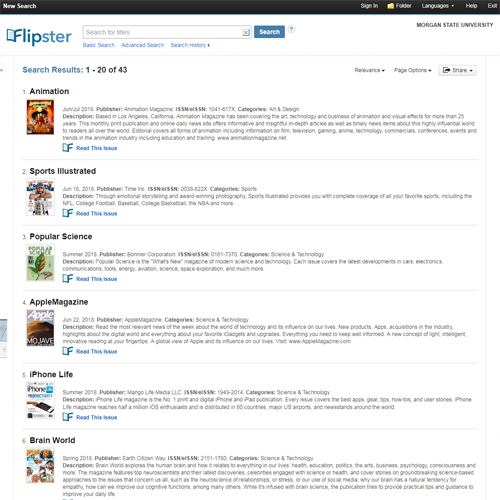 With Flipster you can browse popular magazines online from anywhere with your Bear Card.